Let's start with some full disclosure: I don't smoke. Other than the occasional cigarettes in rock clubs while drunk during my college days, smoking has never been something I'm into. And if you are aware at all you know smoking ain't the best thing for you. That said, there is nothing quite like the smell of a pipe. My Pepe' (that's French Canadian for Grandfather) used to smoke a pipe. And the aroma of that burning tobacco takes me back to a kindlier, gentler, less educated time in my youth. 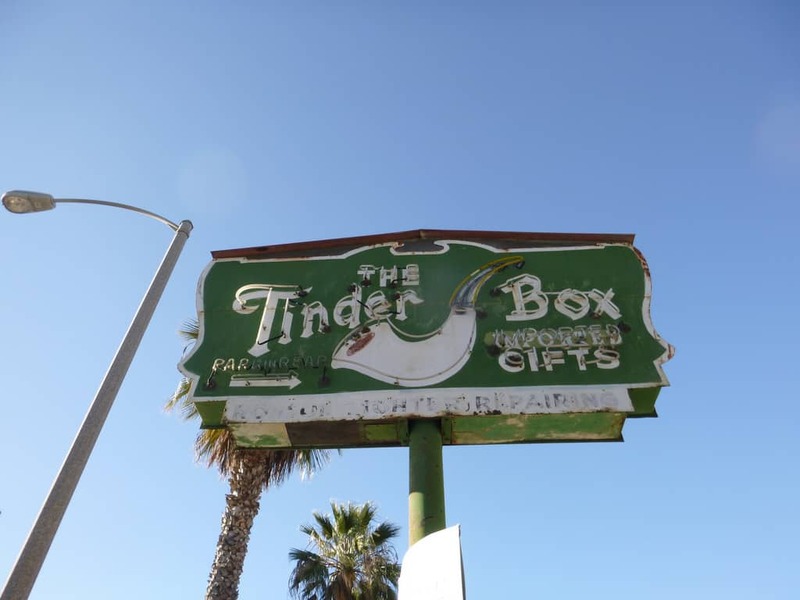 That is why I think The Tinder Box on Wilshire Blvd in Santa Monica, California is retro worthy and a fun place to visit, even if smoking is not your thing. 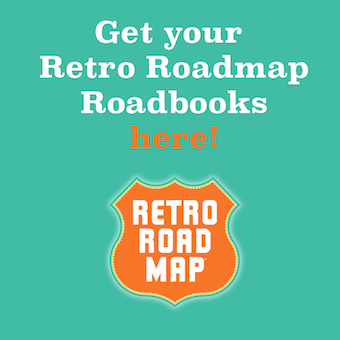 How can you not love a place that has been puffing along since 1928? 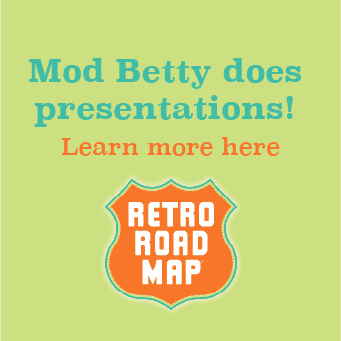 No small feat based on the way Santa Monica and the world's attitudes toward smoking have evolved over the years. 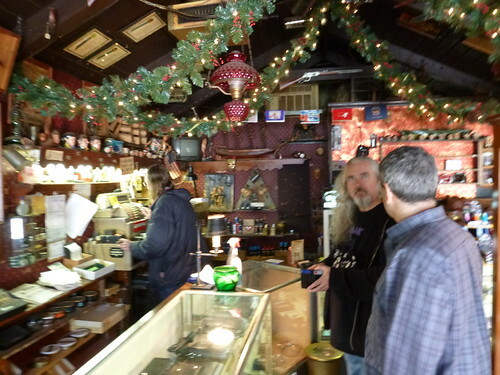 Stepping into this tiny store is like stepping back in time, if only for a few smoking minutes. 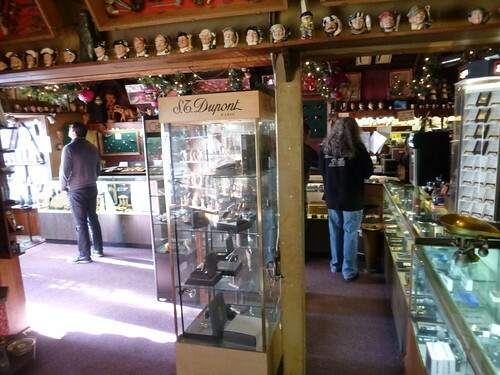 The Tinder Box offers a large selection of imported cigarettes, pipes and tobacco related items. 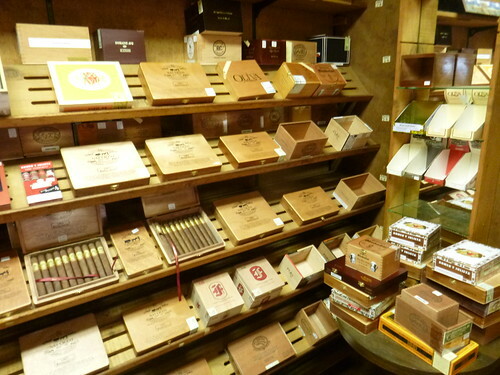 Their giant walk-in humidor is packed floor to ceiling with a wide variety of cigars. 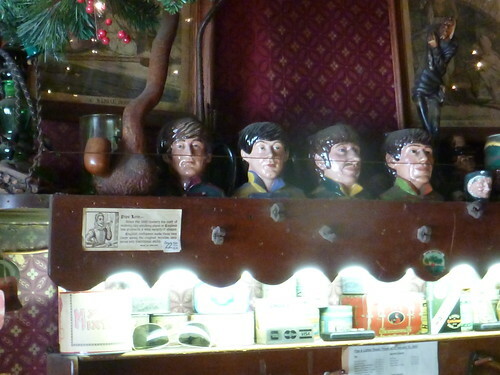 Make no mistake, this is no head shop. The shopkeep working at The Tinder Box is sure to make you feel unwelcome if you come in looking like a stoner. 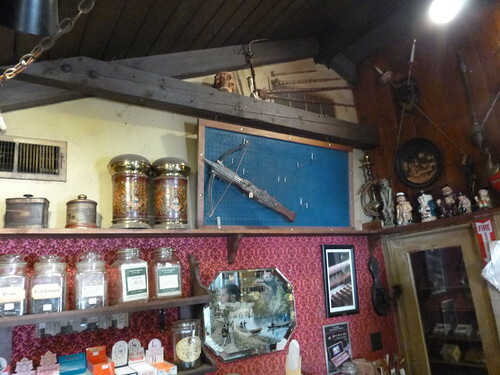 The vibe of the shop is very old English, you half expect the ghost of Sherlock Holmes to pop from the musky walls and help you with your browsing. Long mustaches and vests are often seen on the customers who frequent this warm and comfy Eighty-Six-Year old establishment. 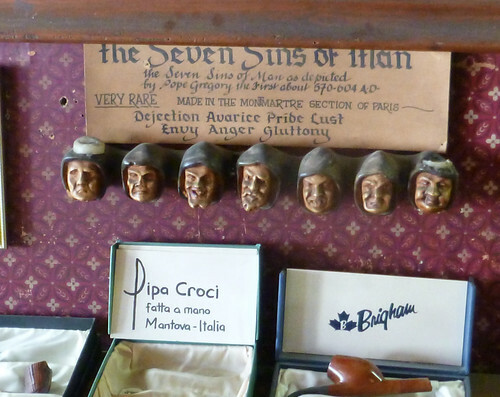 Apart from all the smoking related items The Tinder Box also boasts a large array of unique gifts. And the items for sale are far from run of the mill. 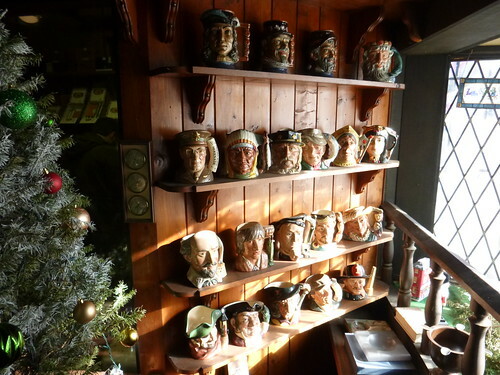 Looking for an oversized English stein molded into the likeness of Winston Churchill? They got it! How about a figurine of children fishing? Yup, it's here. Or maybe you fancy a working crossbow? That's right, they sell working crossbows. Note: I visited after the holiday rush so there was only one crossbow left for sale. Dare I say, the place is classy. 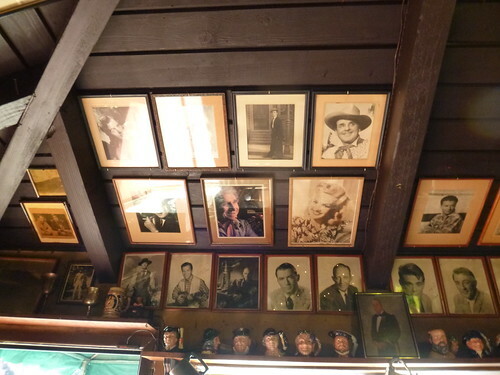 The walls and detailed wood ceiling are covered with vintage antiques pipes and photos of a the stars of yesteryear in a time gone by when men were men and smoking was a past time for people with time to kill and money to burn.